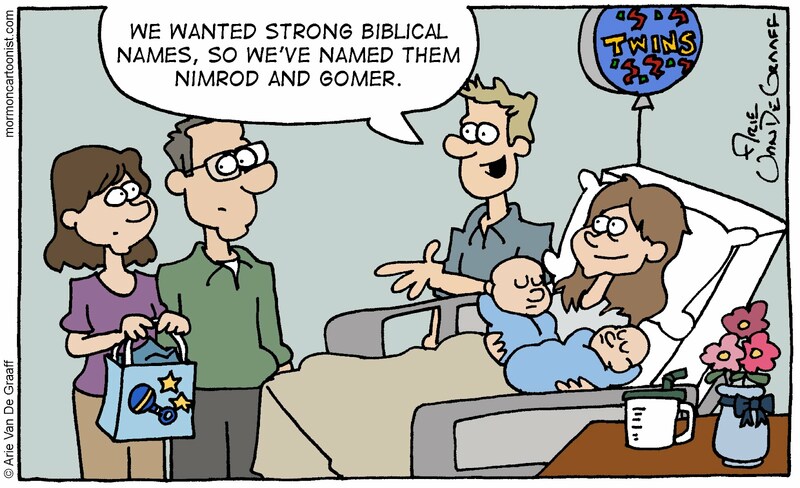 When it comes to picking baby names, you can be sure that an awful lot of people will gravitate to the Bible for inspiration. 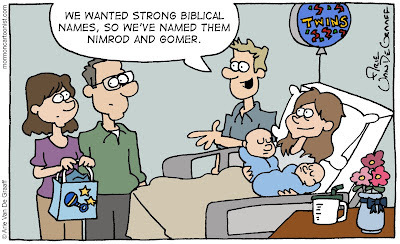 Of course, there are Bible names and then there are Bible names. There aren't many Nimrods and Gomers* running around--which is really a shame. *Gomer is an especially versatility name in that it was used as both a boy's name and a girl's. Love the dark lines under the moms eyes - a nice realistic touch. Gomer Van De Graaff has a nice ring to it!